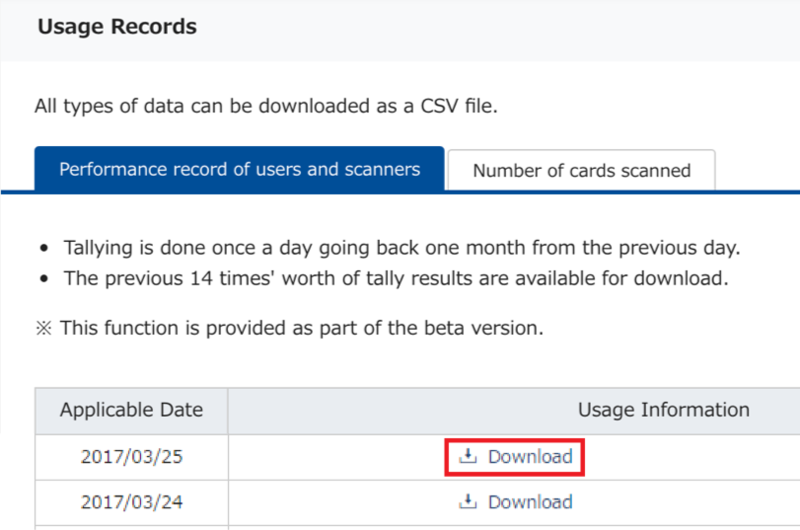 You can download user log-in rates, business cards held, contact report usage rates and the like in CSV format. Here we will show you how to check the actual usage by users. ・To use this function, you will need permission to "Check actual usage". For more information about giving permissions, see here. ・For Number of cards held ,the following are included. 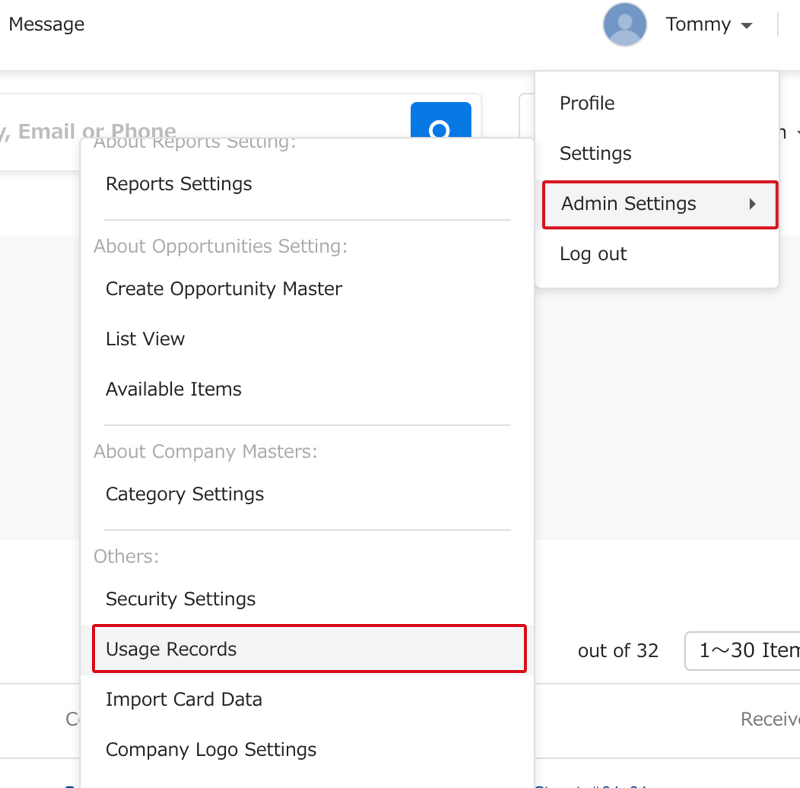 1.Click on "Admin Settings" at the upper right, then on "View Usage Record". 2. Click the Download button for the day you want to extract in the "View Usage Record" section. ※* The items that can be downloaded can be seen in "Explanations of Each Item in the File" in the image below.